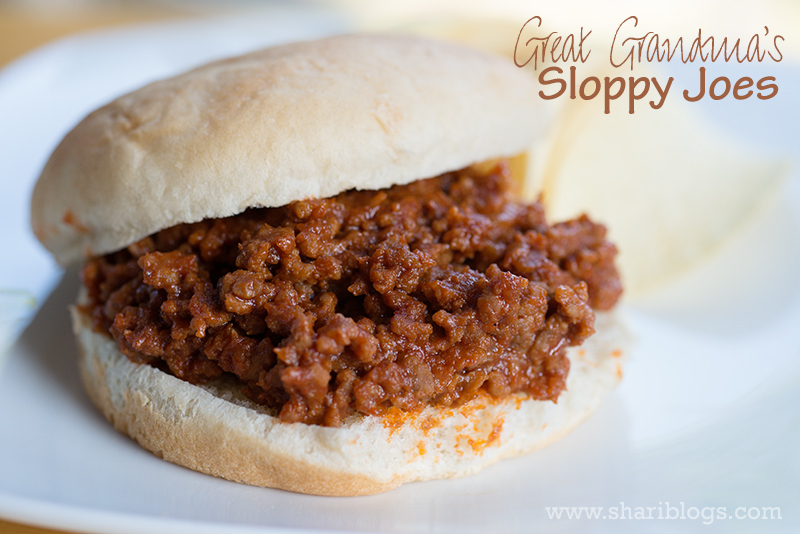 I call this Great Grandma’s Sloppy Joes because the recipe was passed down from my daughter’s great grandmother. My mom grew up eating these, she raised me eating them, and now my daughter is enjoying them as well. As a matter of fact, my daughter says these are number two on her most favorite foods list. We aren’t big green pepper fans, so we leave those out. However, my mom and Grandma were known for throwing some in there so feel free to if you like. 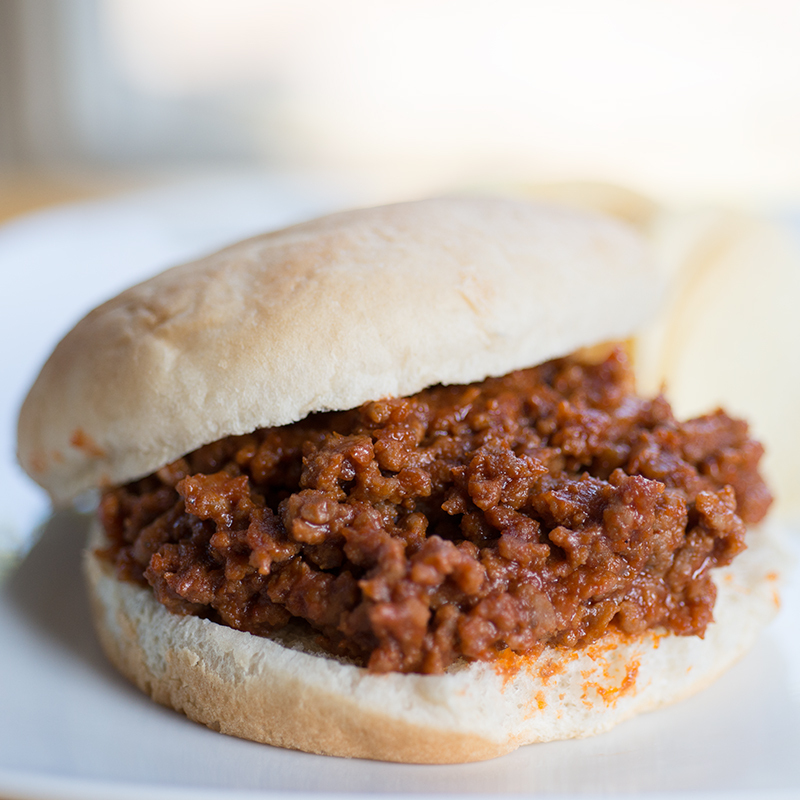 I know everyone probably already has a favorite sloppy joe recipe or they make some with that stuff in the can, but I hope you will try these sometime. I really think you will be glad that you did! I love that these are so easy to make and they warm over WONDERFULLY even after a couple days. We are pretty picky eaters and rarely EVER eat leftovers, so believe me it is saying a LOT if I am telling you that they are good warmed over! I do have to admit that my mom raised me to eat them with a little miracle whip on them. My husband says that totally grosses him out so he and the kids don’t do that! In a large skillet, brown your ground beef and onions together until done. Then drain. Add the ground beef and onions back to the skillet over medium-low heat. Now add in the tomato paste and stir well into the ground beef mixture. Next add the soy sauce, brown sugar, yellow mustard and lemon juice. Mix well. Lastly, add the ketchup and stir until well combined. Heat until warm throughout. Serve and enjoy!